11th April, 2018: Another practical yet interesting in house training was conducted at our cozy training center in PJ. This is a 1 +1 training where it emphasizes on creating and becoming the master of our own emotions at the same time learning how to effectively communicate with others. Participants learnt to listen, understand and transform their emotions. With such understanding, participants will be ready to learn the proper techniques in communicate so that they are ready to communicate with others in a calm and constructive manner. On top of that, participants were trained on discovering the inner potential of a person underneath the emotions in order to be an active listener hence effective communicator. 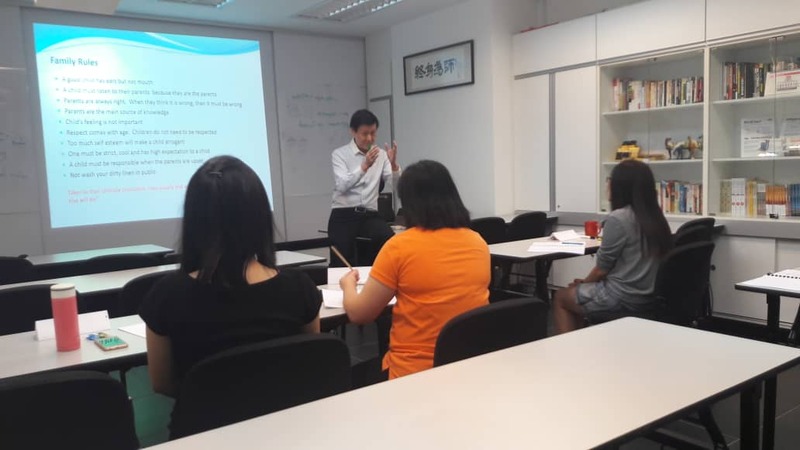 This exciting training was conducted by our veteran trainer Mr. Bryan Ng, who is a well qualified international trainer, specialized in various training involving Phschology leadership and Management. His diverse experience had enabled the participants to understand and captured the main purpose of the training easily.